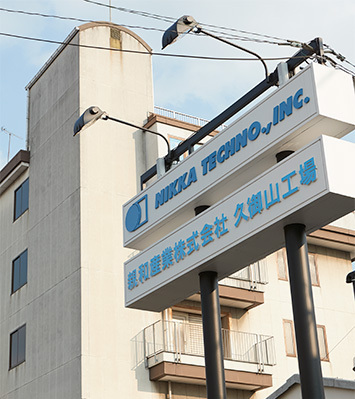 Company profile ｜ NIKKA TECHNO,INK. we have technologies as many as the number of days we have lived. We aim to understand market demands accurately and supply high quality products stably and promptly. 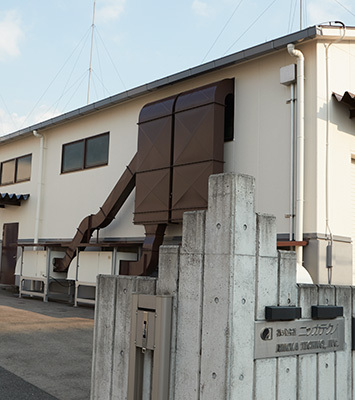 Yoshiharu Nakayama established “Nakayama Research Center” in Ichijoji, Sakyo-ku, Kyoto. He developed “enamel foils” by gilt or metal powder sprinkled on resin film which was made by applying celluloid to glass and peeling off. Then, he started study of transfer foils using glassine paper and cellophane film. Corporate name of “Nakayama Chemical Research Center” was established. Creation of technology of vacuum metalizing transfer foil using a polyester film base. Introduction of vacuum metalizing equipment on trial manufacturing basis. Vacuum metalizing technology was perfected. The year of Tokyo Olympic, we became the first vacuum metalized transfer foil manufacturer in Japan (we managed to develop), and our foils were adopted to Morinaga Gold Chocolate. Yoshiharu Nakayama established a management policy for the future developments of vacuum metalizing technology. 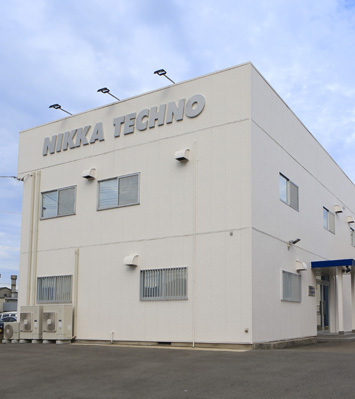 Kohjiro Nakayama and Taichiro Nakayama headed the newly established plant in Kisshoin, Kyoto. Vacuum metalizing equipment was installed and a systematized quantity production is introduced. Nihon Kagakuhaku Ind. 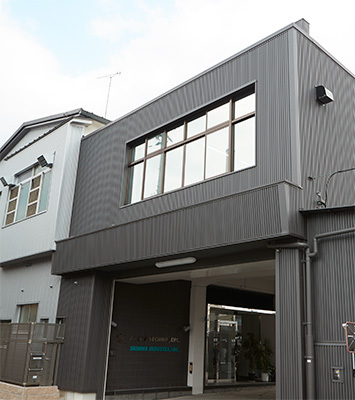 Co., Ltd. was established with a capital of 10 million yen. Construction of the head office and plant in Kamitoba, Kyoto. Kohjiro Nakayama and Taichiro Nakayama were appointed to the representative directors. Kohjiro Nakayama was awarded by the governor of Kyoto Prefecture for his contribution to the promotion of metalizing foil technology for transfer film manufacturing technology for production use. Capital increased to 30 million. Expansion of Kamitoba Plant completed. Acquisition of plant licensed from New Plating Co., Ltd. for high frequency ion plating technology. 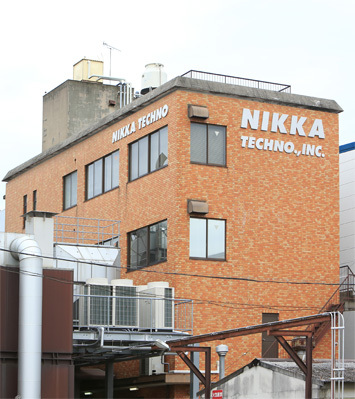 Corporate name changed to Nikka Techno, Inc. Permission of Bonded Factory by Osaka Customs. Production and sales license for photo-etching technology acquired from U.S.A.
Development of photo-etching technology started. Production and sales of “Hologram transfer foil” started. Production and sales of large formatted “Hologram transfer foil” started. The Japanese first hologram transfer foil adopted “PIANISSIOMO peche” by Japan Tobacco Inc.
Production and sales of Hologram transfer foil “PNK PLANET NAKO” started. The viewing facility of holography”2D””3D” introduced. The Japanese first cold hologram transfer foil adopted “PIANISSIOMO LUSIA” by Japan Tobacco Inc. The viewing facility of holography “seamless” introduced. Hitoshi Nakayama was appointed to the representative directors newly. Defect inspection system was introduced to slitters. Kojiro Nakayama became a consultant.